For over 50 years Northern Energy has been bringing energy solutions to the businesses and residents of the North of England. Northern Energy appointed us to design and build a new website to refresh the brands perception and help to support it’s ambitious growth plans. 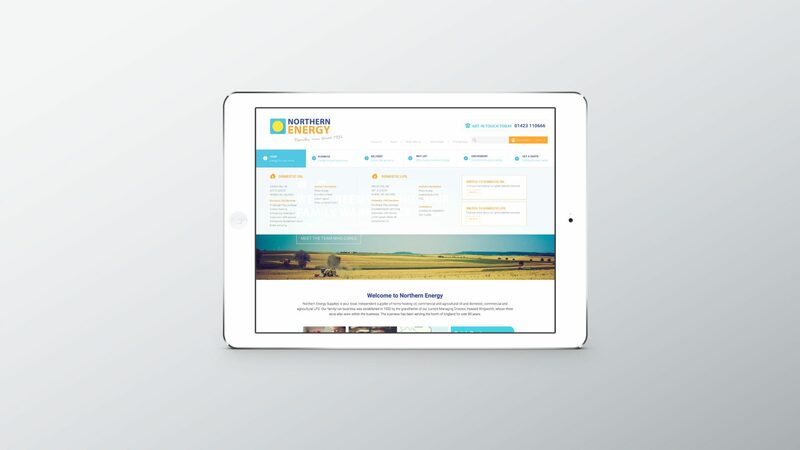 We began working with Northern Energy back in 2015 and apart from the new website we have also helped them overcome a Google penalty to see a 38% increase in organic search traffic. We are also now undertaking all their digital marketing campaigns, see below for the results we have achieved so far. The new website was built in 4 months with a responsive design on top of a powerful WordPress CMS. Our development team used the latest technology & techniques to ensure the website is performing at the top of it’s game. Combining this with a powerful content management system, it gives the client complete control post project completion. For the brands digital marketing campaigns we primarily utilise paid search, to drive conversations to targeted audiences within the Northern Energy territories.